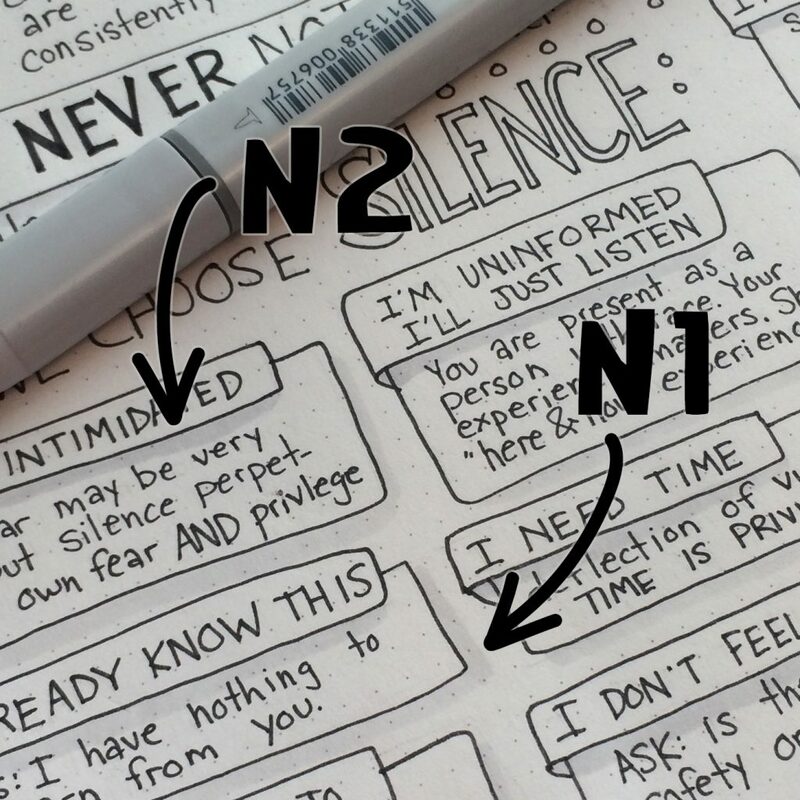 When I first began taking elaborate hand lettered notes I experimented with using lots of colors and varying pen styles, but I found through trial and error that the more action on the page, the more overwhelming my doodle notes were when I went back to study them. Over time, I’ve found my style is to use one or two multiliner nib sizes, 2-3 marker colors, and 3-4 matched shades of grey. Since grey shading with markers is a technique unfamiliar to most, I’ve written this post as a tutorial to get you started. Grey shading is an easy way to add depth and interest to your layout without adding “busyiness”. Once you have the right supplies and get the hang of it, it’s quick, easy, and really adds a “wow” factor to “studyblr notes” and bullet journals. A N0 Copic Sketch Marker, a N1 Copic Sketch, and a N2 Copic Sketch Marker as well as a Copic Colorless Blender. Copic pens aren’t cheap- they run between $5.75-$8.50 but I’ve not found a substitute that blends like copics. The good news is that Copic’s have replaceable nibs and replaceable ink so, theoretically, they will last forever. The “N” in the color name/number indicates they are a neutral (rather than cool, warm, or “toner”) grey. You can create a slightly different effect with the other colors, but neutrals are more than enough for the average journaler or note taker. *Copics are my go-to, but art markers aren’t a great fit for a student budget. For a cheaper option, try the Zebra MildLiner in Grey (essentially, a grey highlighter available for about $3). Though it doesn’t blend, it works fine for creating basic drop-shadows. Experiment with this grey highlighter and crosshatching for a shaded gradient effect. Draw a simple flag-style banner. Add a box “behind” the strip of banner. Your banner is “in front” of the box, but without shading our eyes don’t recognize that third dimension. Add a banner fold. This adds a 3-D perspective that is enhanced with shading. Visualize where your light source is. I happen to always envision the light coming from the upper left corner of the page, keeping it consistent makes shading predictably easy. Add shadows where perspective would show the sides if the box was three dimensional. – Notice how my use of the N0 marker behind the banner makes the banner appear to be sitting right on top of the box, but the N1 shading behind the box, which is a little darker, gives the impression that the box is floating with nothing behind it. Color deep shadows, like the fold of a banner, with a darker grey, I use N2. A cool thing about Copic markers is that they can be layered with other alcohol based markers. Here I layer N2 and Y13 to create a deeply shaded yellow backside of a Y13 colored banner. 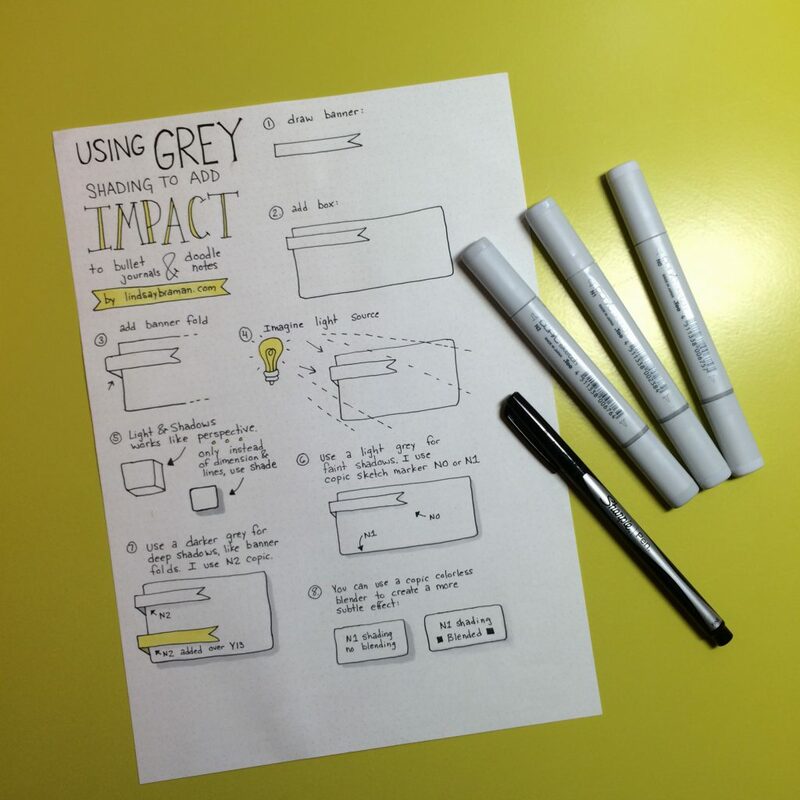 Grey shading adds impact to your notes and only requires a few supplies. 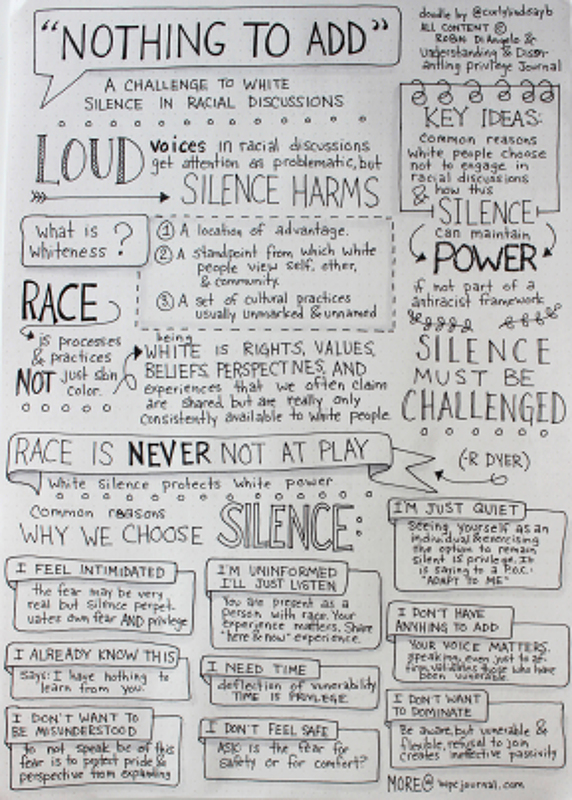 This page of notes taken doodle-style has depth and impact without color, thanks to grey shading.